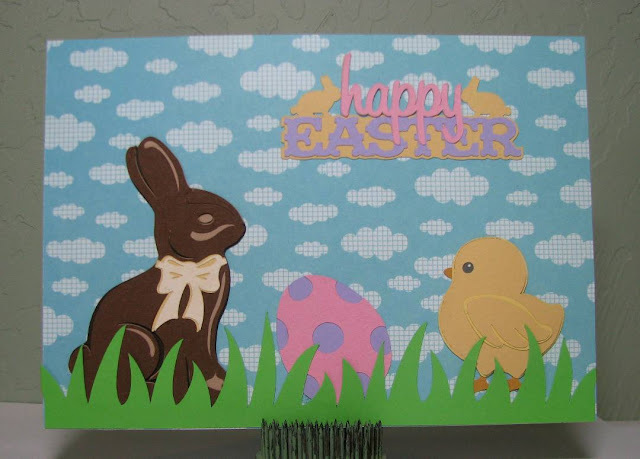 Cutting Files: chocolate bunny, cute chick, egg & grass (Printable Cuttable Creatables), sentiment (Phrases-Cricut Cartridge). Paper: scraps from my scrap bin. I love Printable Cuttable Creatables-the price for all three files I used is only $2! And there are 28 Easter files to choose from, some of them free. 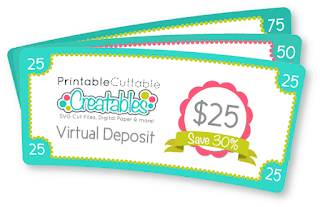 Be sure to enter our challenge for a chance to win that virtual wallet of $25 at PCC! So cute Michelle! That chick is adorable!! Super cute, Michelle! I love the cloud paper! So darling. This looks like a scene out of my childhood. Happy Easter.